HMD via press release notified the launch date of the new phone, Nokia 3.1 which is the updated version of Nokia 3 that the company called “most successful model in our smartphone lineup to date”. The Nokia 3.1 has a 5.2 inch HD display and 18:9 aspect ratio display with 1440×720 LCD. The phone runs with MediaTek 6750 SoC octa-core processor. The rear camera has 13MP and the front-facing camera has 8MP. The company used Gorilla Glass 3 for the whole front of the phone. The storage has two models, the first model has 2GB RAM and 16GB ROM and the other one has 3GB RAM and 32GB ROM that expandable through its microSD card slot. The battery capacity of the phone has 2990 mAh. 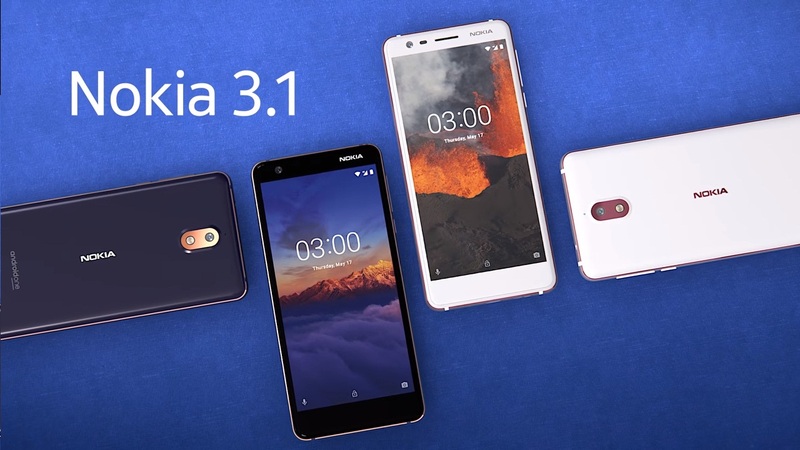 The company confirmed that the availability of Nokia 3.1 will be on July 2. The price starts at $160 for 2GB RAM and 16GB ROM and $195 for 3GB RAM and 32GB ROM.